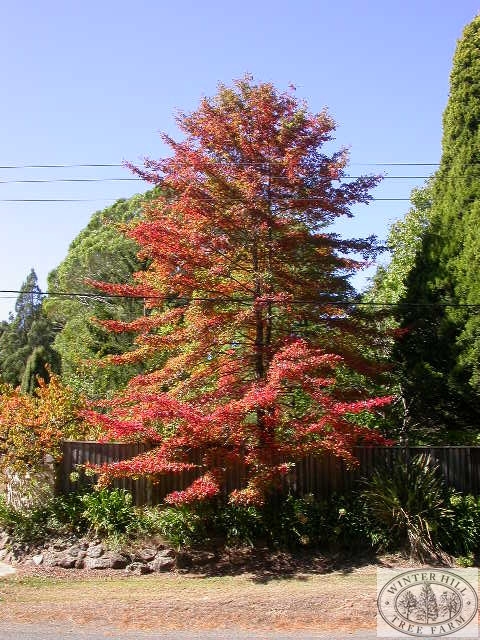 Beautiful deciduous specimen tree with pyramidal shape. A magnificent tree in autumn when the leaves turn orange to scarlet. Likes moist , moderately fertile, well drained soil in full sun. Tolerates wet conditions well. Safe to -10C. Does well in climates where summers are hot. Grows approximately 30-45cm per year.